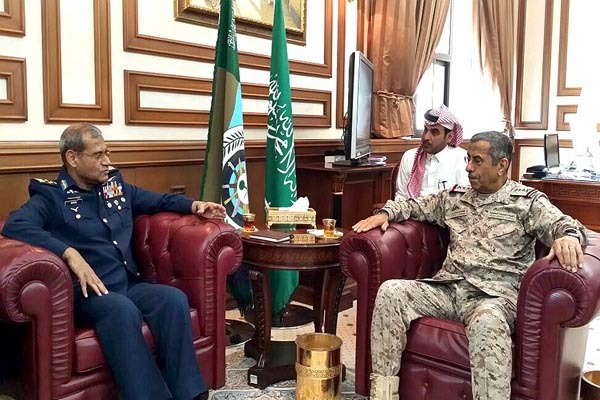 ISLAMABAD April 27, (APP): Chief of Air Staff, Air Chief Marshal Sohail Aman on Wednesday called on Prince Muhammad bin Salman bin Abdul Aziz Al-Saud Deputy Crown Prince and Minister of Defence of Kingdom of Saudi Arabia. The Air Chief conveyed the best wishes and greetings from the government and people of Pakistan, a PAF news release here stated. He also appreciated Saudi Arabia’s role in promoting peace and stability in the region and thanked the Saudi government for an unwavering support to Pakistan.